Hey everyone! 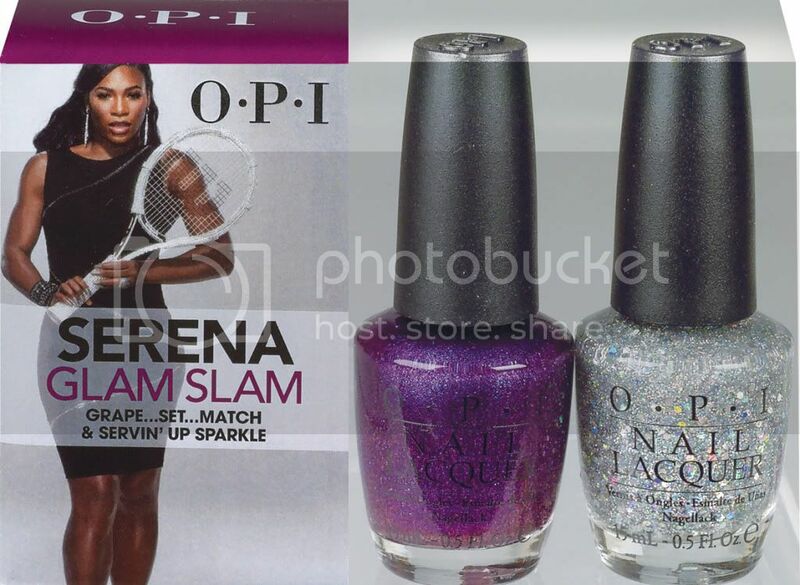 Today I have swatches of one of the new OPI Serena Glam Slam! England sets featuring Grape... Set... Match and Servin' Up Sparkle. This duo is part of the third installment of Serena's collection of laquers in collaboration with OPI and I have to say it is my favourite one so far! While I liked the base colours of the French sets and Black Shatter from the Australian set, I'm honestly all crackled out now! So a shimmery purple and a blingy holo glitter is a really nice change of pace! Grape... Set... Match is a red toned purple, jam packed with purple, blue and pink microglitter. This polish has a kind of duochrome effect as well and you can see the flash of fuchsia in the pic below. I used three coats for these photos but you could easily get away with two. Grape... Set... Match reminds me a little of OPI Ink, so I will try and do a comparison for you over the weekend. The second polish in the set, Servin' Up Sparkle, is a clear polish packed with tons of silvery holographic glitter and holo hexagonal sequins. This polish is meant as a layering polish so I haven't done a swatch of it on its own. But as you can see, over Grape... Set... Match it is ridiculously blingy! This is two coats of Servin' Up Sparkle. You can really see how sparkly this polish is in the blurry photo below. I honestly couldn't fault Grape... Set... Match, but I did have a little gripe with Servin' Up Sparkle in that there weren't as many larger hex sequins as I would have liked. This meant that they applied unevenly on each nail. You can see in the photos above that I ended up with a ton of them on my ring finger but not that many on my middle finger. But I think with a little care when applying the polish, this wouldn't be a problem at all. OPI must have realised how awesome Servin' Up Sparkle is because they also teamed it up with the silver foil Your Royal Shine-ness, in the other duo pack which I will be showing you in the next post. What do you guys think of this set? Do you like the glitter top coat? Or do you prefer the Shatter top coats that were included in the other sets? Glam Slam! England is available in leading salons and David Jones stores nationally July 11th, $19.95RRP. 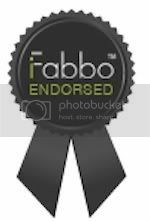 For your nearest OPI stockists contact 1800 358 999 or visit www.opi.net.au. I'm in love with this glitter top coat. Just like you, i'm kinda crackled out, haha. I JUST got this set in the mail and I LOVE IT! The purple is so much better than I could have imagined. It reminds me of a metallic version of ChG Let's Groove. I plan on doing comparisons too! I am definitely ready for some glitter!! Gorgeous ! They were made for each other . I'm such a sucker for any kind of purple polish - love this! Love both of these, definitely need to get the duo!